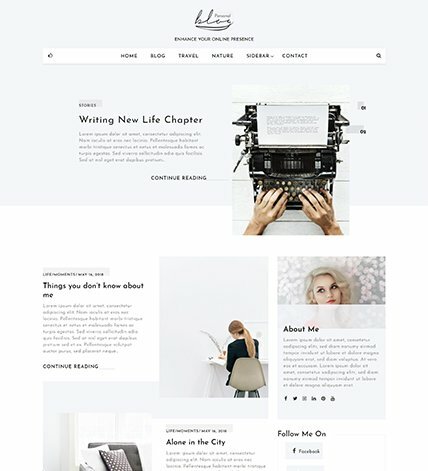 Blog Personal is clean, well structured, sparkling, user-friendly, flexible, dynamic and attention-grabbing WordPress Magazine Theme with a sleek feel that’s perfect for news sites, editorial websites and online magazines. An incredible addition to the WordPress Blog Theme collection! Taking care of all of your needs and requirements to create a stunning WordPress blog site; Personal Blog is the answer to all your problems! That’s right, this theme is crafted and designed in a way that will leave all of your users stunned. Not only is this visually amazing to look at, but this template is rich with tons of amazing features. We have integrated One click demo import features which is the most useful features that of Blog Personal theme have. Users love to start the website development process at the same starting point as the theme demo page, so they can quickly develop the website they want. 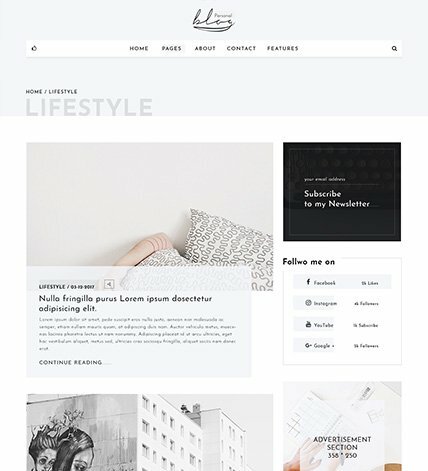 A Stunning Free WordPress Blog Theme: Blog Personal! * Added options for post nav. * Fix issue of prefixing. * Fix the issue of Pagination. * Minor Changes in css. * Added options for header options. We install and configure the theme for you in 0 cost. We will remind you about our theme update notification and features. We offer special templates for the users who are seeking for amazing themes for absolutely free. We will notify our subscribers of our special offer and discount codes. Start here. Shop your best themes, plugins & services. © Copyright 2019 Theme 404 . All rights reserved.